9. Change to Plan B. We will switch to the Camino Frances, where logistics should be easier. 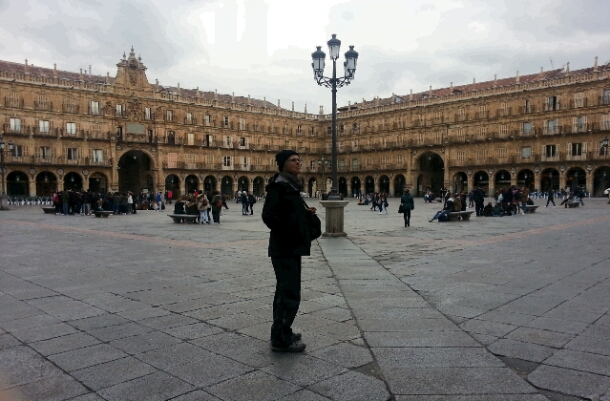 So, from Baños we took a bus to Salamanca to spend a night, and then will go to Leon. The rest of Plan B has not become evident yet! 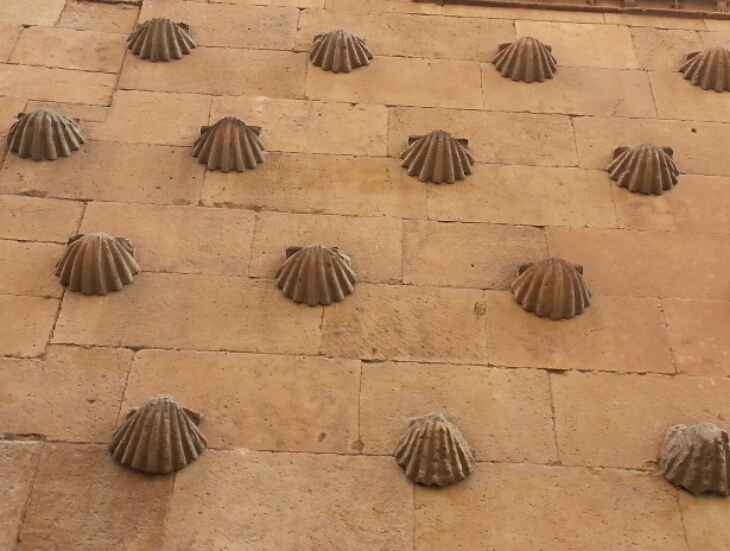 In Salamanca I walked down to the Roman Bridge crossing the river, to see what the pilgrim entrance into the city would be. 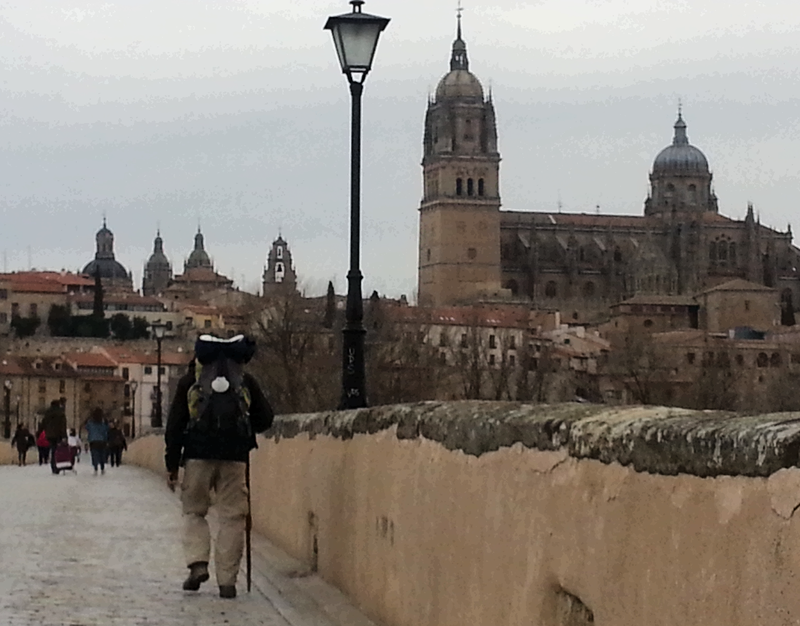 Just approaching the bridge was someone I recognized – a Spaniard who had stayed at the albergue in Cañaveral and was just walking into Salamanca. I took his picture for him and wished him Buen Camino. 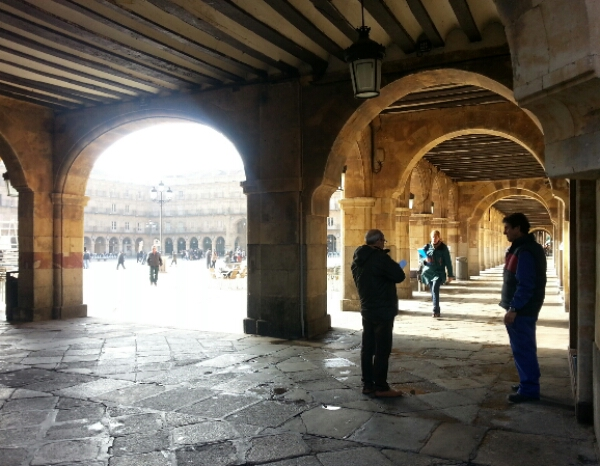 Nice Hostal Concejo near the Plaza Mayor for €37. 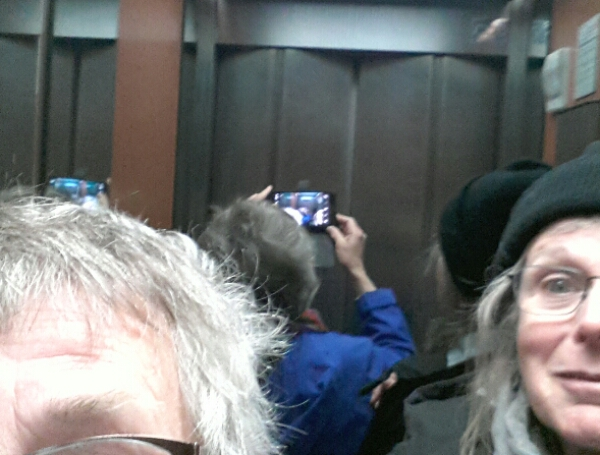 We foolishly entered the elevator with our packs on, and could hardly get out. Managed an selfie, though! Due to mirrors it looks a LOT more spacious than it was. In fact we could not turn around. March 16, 2016 in Misc.. I have been reading your updates and enjoying following along as you find your groove. Buen Camino! Thanks. We’ve just arrived in Leon and I feel good about it!